Balgarska Armia Stadium or The Bulgarian Army Stadium is the most recent name given to the stadium located within Borisova Gradina, Sofia. 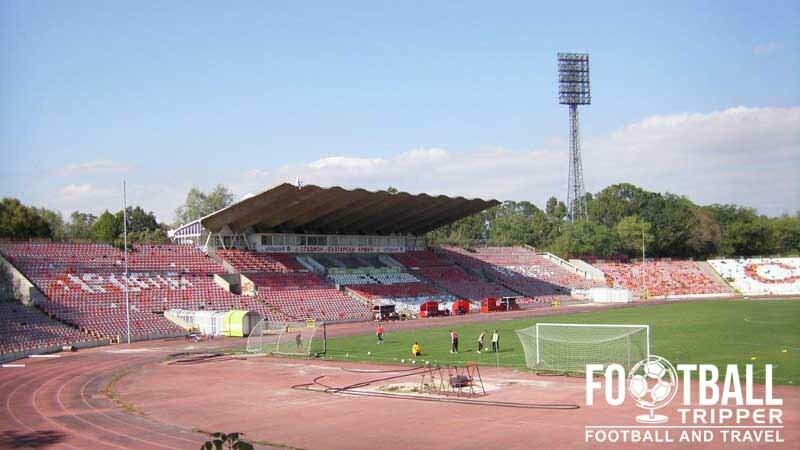 Capable of seating 22,995, it is currently home to PFC CSKA Sofia. Balgarska Armia Stadium is the name of the 1967 built football ground located within Borisova Gradina (King Boris’ Garden). Designed by architect Anton Karavelov, the stadium took approximately two years to build, and it replaced the original version known as Athletic Park which first opened in 1923. Essentially a municipally owned stadium, the Bulgarian Army Stadium has been used primarily for football since opening, however it still retains a running track around the perimeter of the pitch so that it can be used to host athletics events. The stadium has undergone several name changes throughout its history, however it has only been restructured twice: firstly when it opened in 1923, and again in 1967. 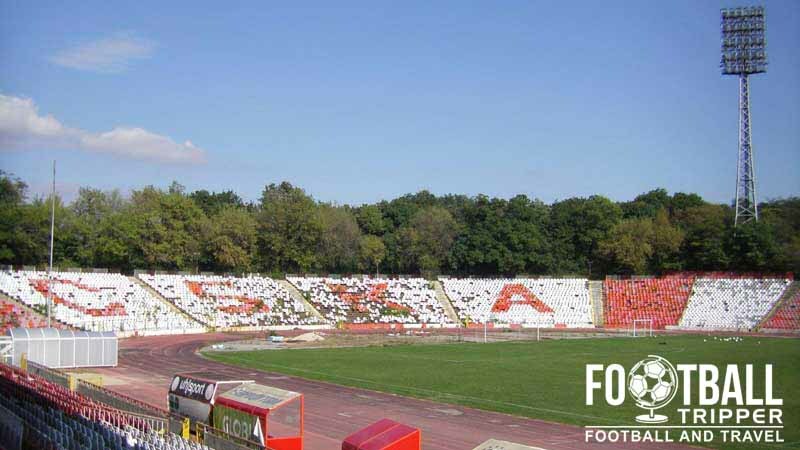 Originally home to AS 23 Sofia, it was known as Athletics Park between 1923 – 1944, then Chavdar Stadium after the resident side FC Chavdar Sofia(1944-1948), and then Narodina Armia Stadium between 1948 and 1990. The most recent renovations at the stadium have generally been minor. For example in 2000, the stadium’s sound system was upgraded, and the latest generation of floodlights capable of glowing at 2100 lux were installed. 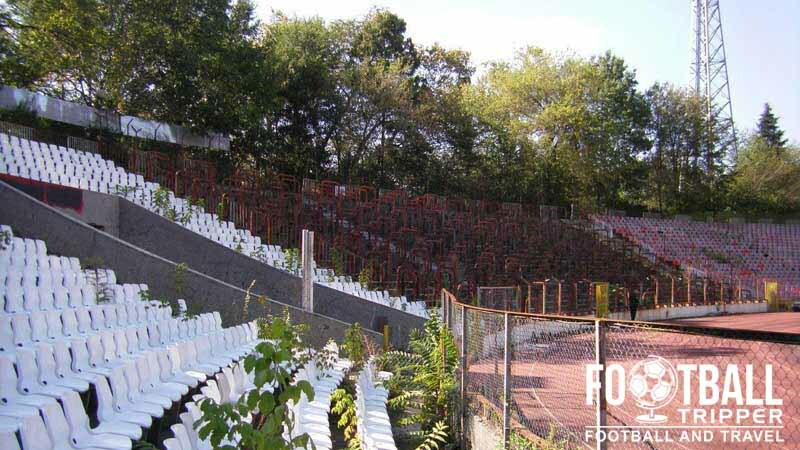 More recently in 2013, some of the sun-worn seating was replaced with modern plastic seating in order to give the ground a more vibrant look. 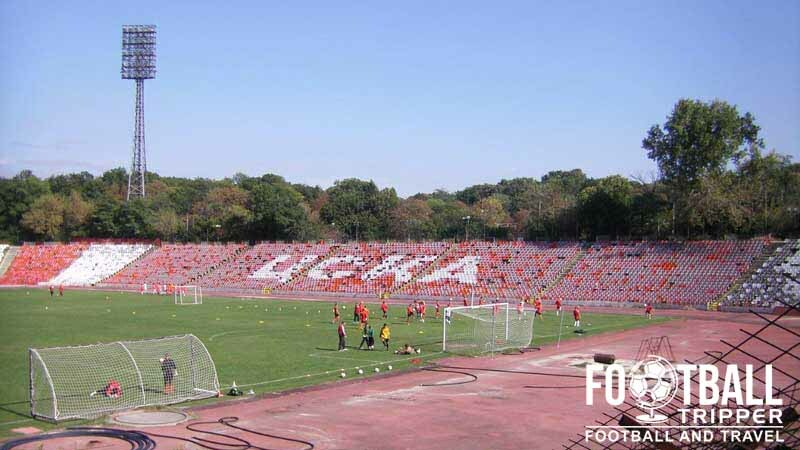 As for the future of the Balgarska Armia stadium it appears that if given the opportunity CSKA Sofia will push for the demolition of the ground in order to once again rebuild it. After the club qualified for the group stages of the Europa League in 2009/2010 it appeared as if the 30,000 capacity purpose built stadium would be green-lighted, however negotiations between the club and the ministry of sport fell through. Bulgarian Army Stadium is comprised of four stands: North, East, South and West.